So we moved into our new house over 3 months ago and were told by the builder that our energy supplier would be Scottish Power. 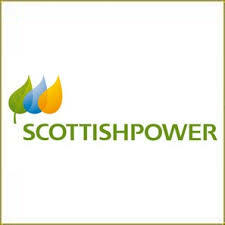 Since then I have made 10+ phone calls, 1 (ignored) complaint and finally, a complaint to the Head of Customer Service and Watchdog – but guess what… we STILL don’t have an account set up with Scottish Power! I also can’t switch providers, as when I tried to contact British Gas, they told me that they couldn’t swap me over because the account hadn’t been set up in the first place. Emailed SP to complain, this was ignored. Made one final call to SP, eventually got account set up. Checked, day after last phone call, discovered account had been set up with WRONG ADDRESS. Call again – was told this would be corrected. Checked day after, correct address on account. Paid £100 onto to account as not yet been received bill and wanted to avoid large debt when time came. Noticed after payment had been made that WRONG METERS HAD BEEN ALLOCATED TO OUR ACCOUNT. Tweeted SP and was given an email address to use to get things moving. Emailed SP and received an email back within 4 days to ask for exact address, meter serial numbers and readings. All given within 24 hours. 10 days later, heard nothing. Called SP and was told that they address on the account had gone back to the wrong address and in the meters were still incorrect. My query would have to go into a “back office” to be changed and would take 3-4 weeks. I asked to speak to a manager who was no help at all. Complained to customer service, Watchdog @ The BBC, Taylor Wimpey (the builder) and Lynda Clayton who is the head of customer service at SP. I genuinely don’t understand how on earth things can go SO very wrong when I am just trying to do something so very simple. I have go not faith in Scottish Power, so the minute – or should I say, IF it my account ever gets set up, I will be switching provider immediately. Is Southport past its best?